Amazon is partnering with OverDrive to offer a new dimension of library borrowing experience through a new feature dubbed as Kindle Library Lending, which is designed to allow millions of Kindle customers to borrow Kindle books from more than 11,000 public and educational libraries nationwide for easy reading on full-range of Kindle e-book readers and free Kindle apps. 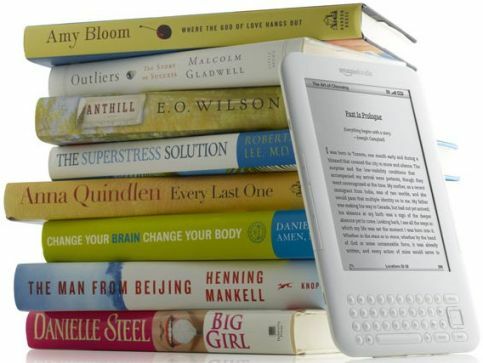 One of the most notable advantage of Kindle Library Lending compared to conventional printed books is Amazon’s Whispersync technology that allows for highlighting and adding margin notes to the borrowed ebooks – all without disturbing the reading experience of next borrower. While the Kindle books is “returned” back to your local library, those highlights or notes will not be appeared to the next patron, but if you borrow the ebook again or subsequently purchase it through Amazon, your highlights, annotations as well as bookmarks will remain right there. Amazon’s Kindle Library Lending service is expected to be launched later this year for Kindle e-readers and free Kindle apps for iPad, iPhone iPod touch, PC, Mac, BlackBerry, Windows Phone and Android.